The Air Force has announced a total of 18 voluntary and involuntary force management programs as part of the most sweeping force cuts since the end of the Cold War. 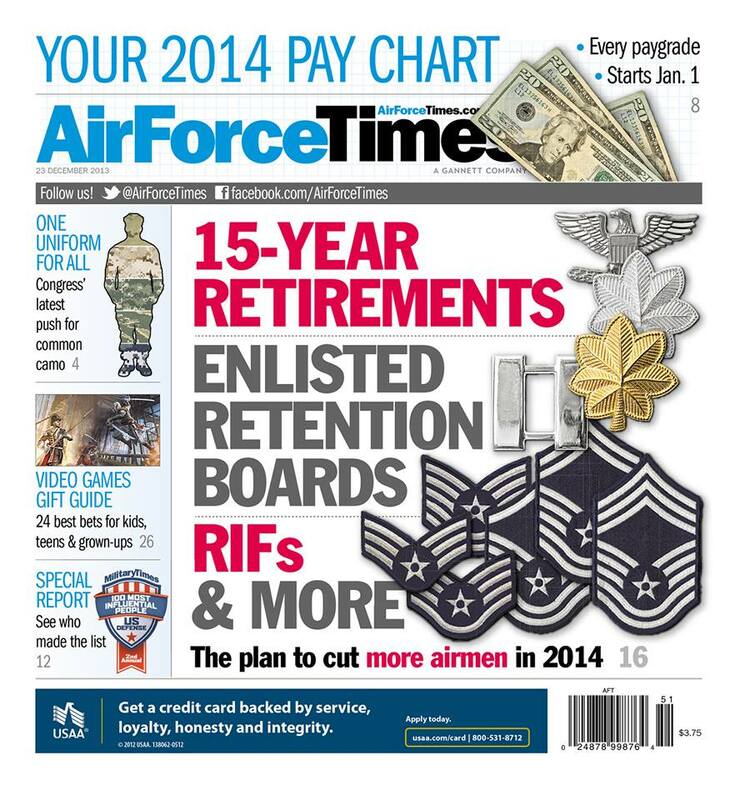 In this week’s Air Force Times, we explain how the Air Force is planning to enact the deep cuts and when they will take place. Meanwhile, the Senate is considering a compromise defense budget passed b y the house that would cut end strength but provide more flying hours and protect some of the aircraft that the Air Force wants to retire. Budget cuts have taken a toll on how much time Air Force pilots spend in the cockpit. You can read why airmen are flying less often. The cut in flying hours has had a surprising side effect: Boredom in the ranks. Airmen told Air Force Times that they airmen they supervise are bored or frustrated with several saying they plan to get out of the service. In other news, the Air Force is also urging airmen to double check that their contact information and other records are up to date before the first of the year. You can read more about what you need to know. And retired Maj. Mike Banzet’s memoir “A Flowershop in Baghdad” deals with experience training the Iraqi air force. Is there information as to honorable discharges and benefits for this airmen being voluntary and involuntary releases???? ?